Search type 6 supports tabs for the search over header media. 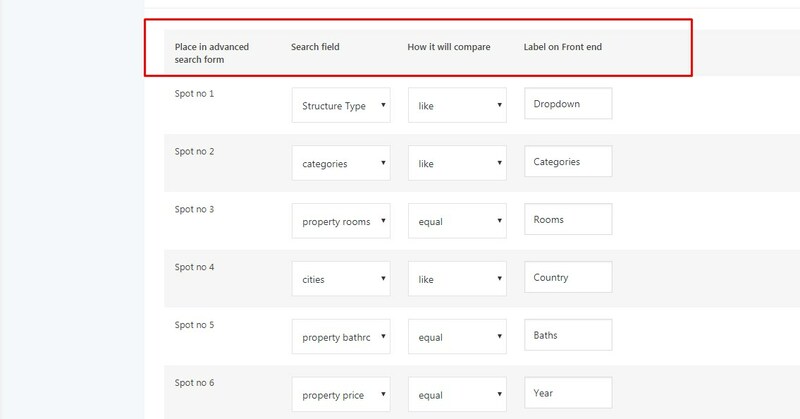 Search type 6 works only with custom fields enabled. 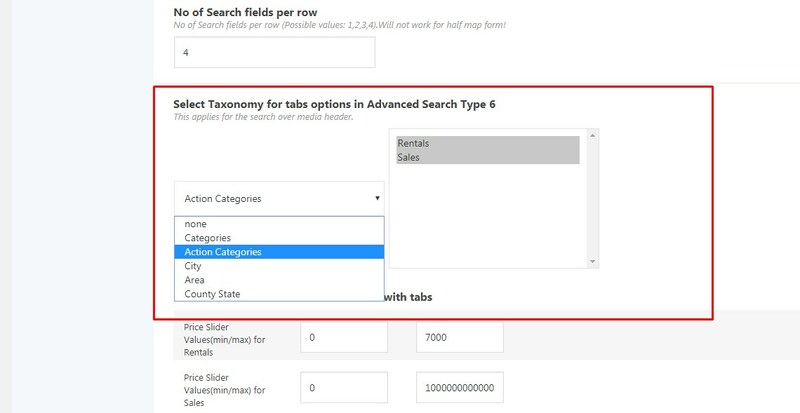 Then go and select which taxonomy you wish to show categories from in the tabs. SAVE. Next select the categories to show in tabs. Use CTRL to select multiple categories. SAVE. Add minim and maxim price value for each category selected. SAVE. The values set in here show in search over header. Advanced Search results doesn’t work. I am not redirected to advanced search results.